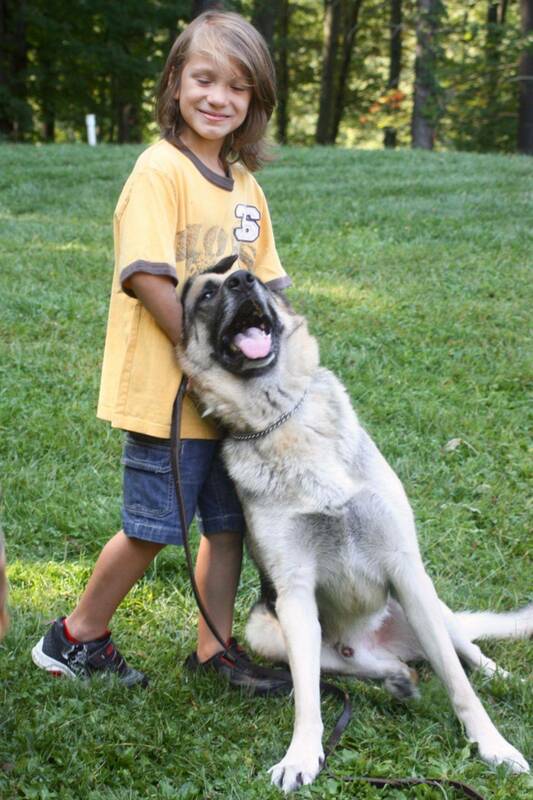 A child of any size or stature should be capable of handling any dog. 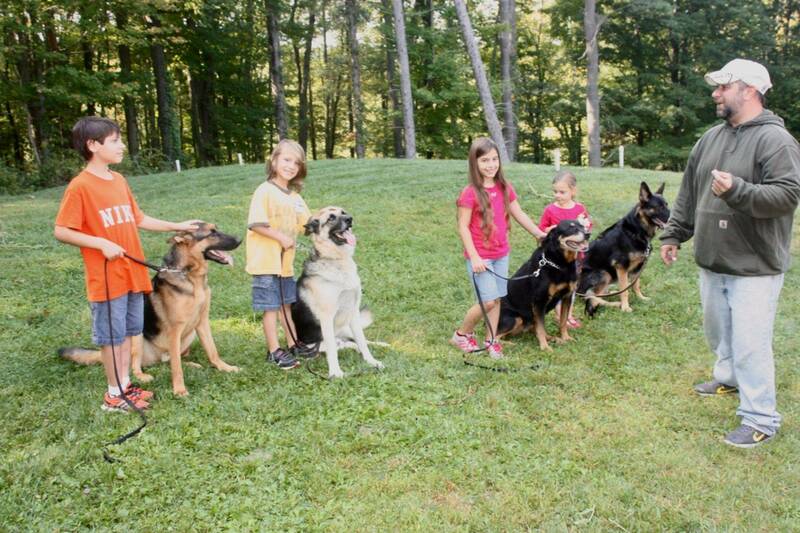 K-9 Academy does not believe in " Leader of the Pack" training. 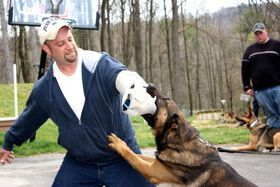 We remove dominance from the equation. 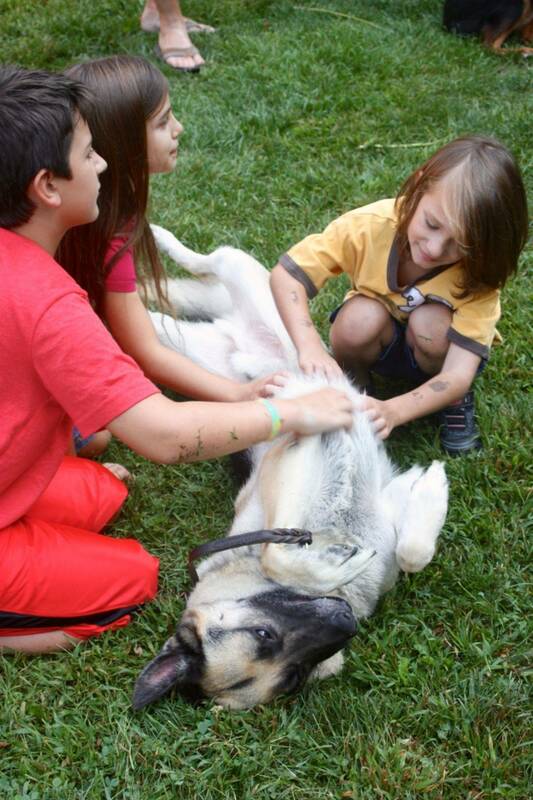 Otto is certainly enjoying the attention!! 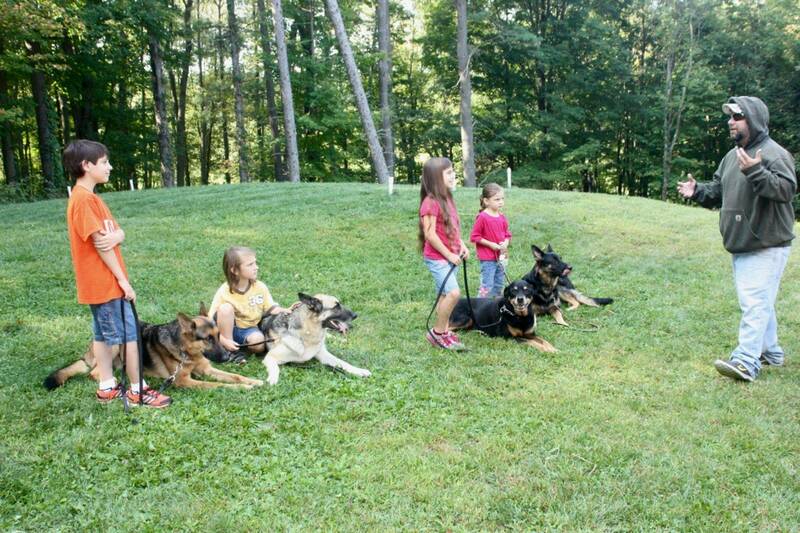 Tony talking to kids about dog safety while they have their dogs on a "sit." 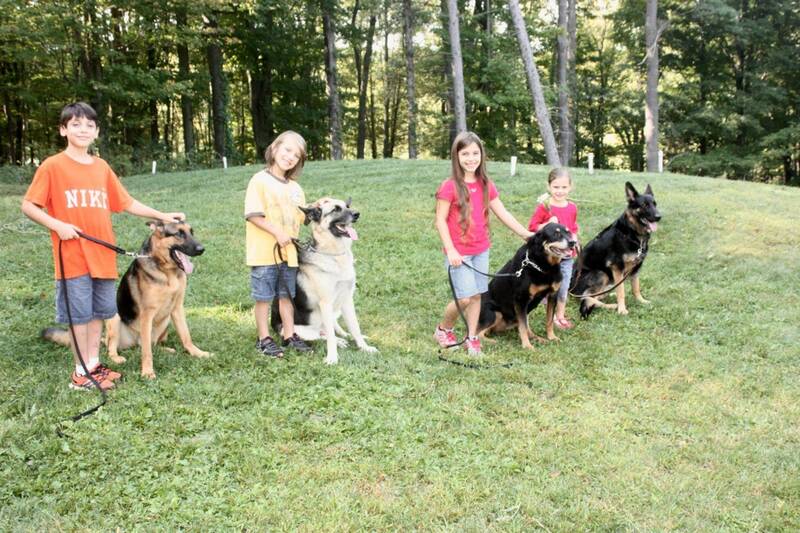 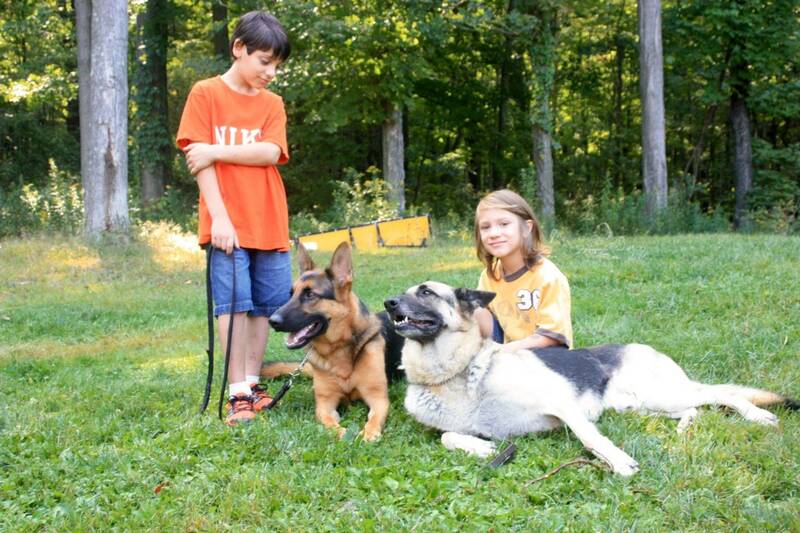 Kids with the dogs on a "sit"
We offer home and private protection training to all advanced obedience graduates. 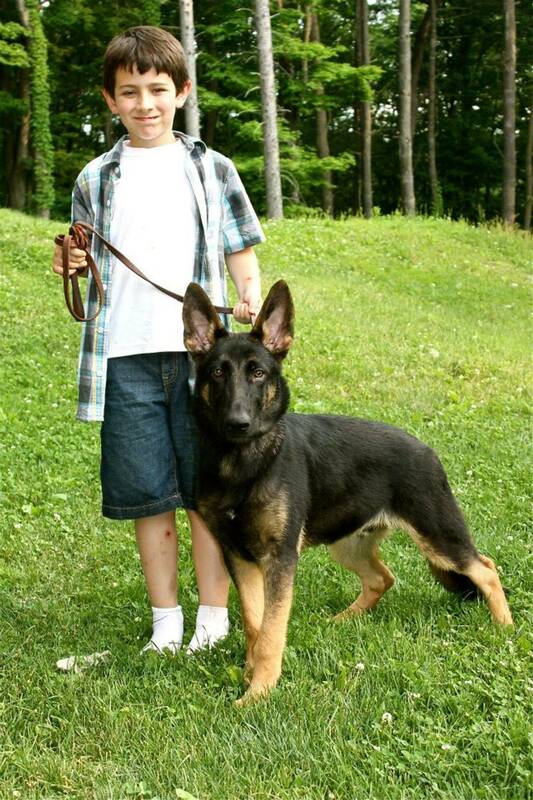 A well taught family protection dog is one of the most socialized, obedient, and gentle pets. 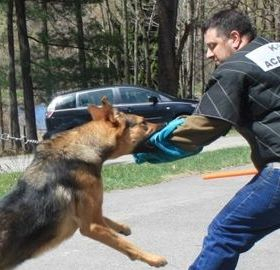 We teach our bite work dogs without engaging their instinctual prey drive. 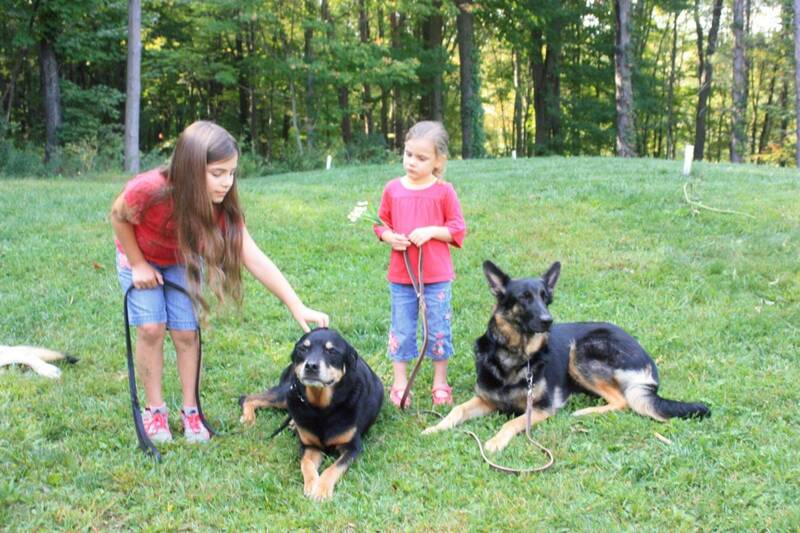 Telling one of our dogs to attack is no diffrent then telling them to "sit," it's NOT personal.